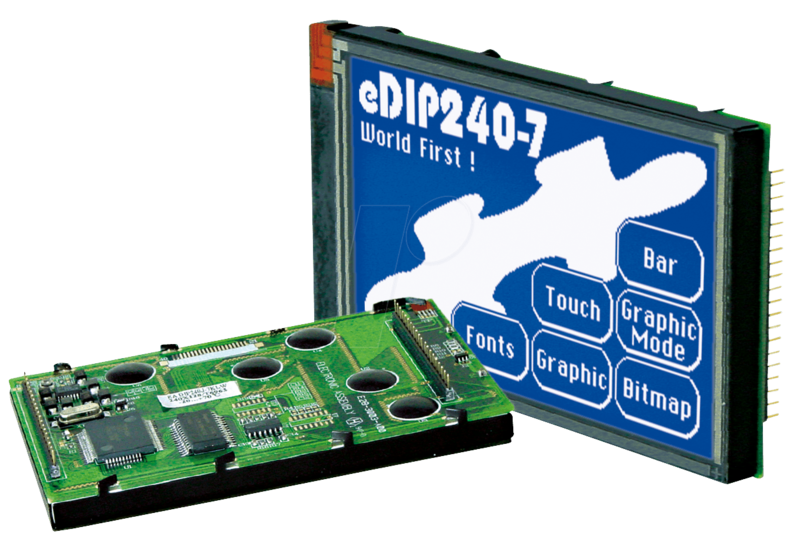 The EA eDIP series is the world's first series of displays with integrated intelligence! In addition to various integrated, pixel-to-pixel fonts, the displays also offer a wide range of sophisticated graphics functions. The 5 V displays are ready for immediate operation. 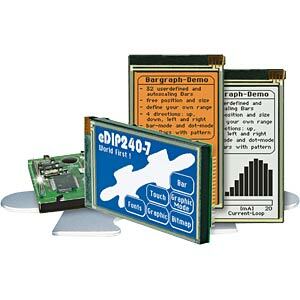 They are controlled via one of the three integrated interfaces RS-232, SPI or I²C. The displays are programmed via clear language graphics commands. Time-consuming programming of character sets and graphics routines are a thing of the past. The user-friendly display with touch panel dramatically cuts development time. 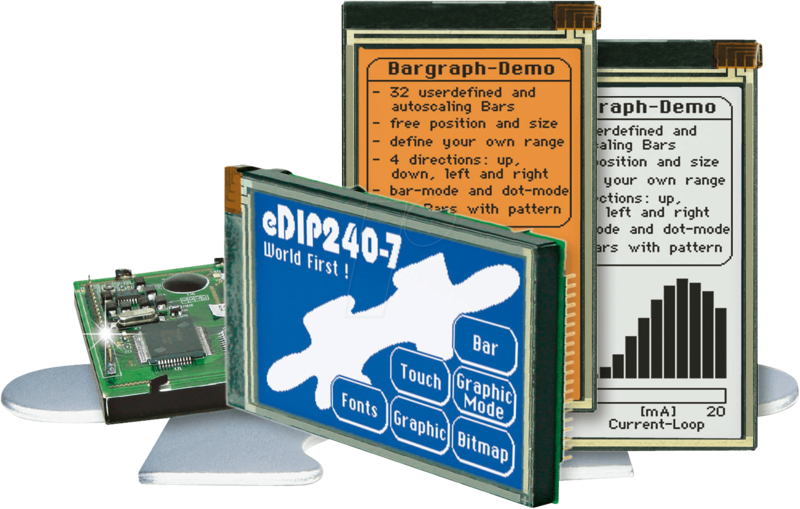 •	Various graphics functions: straight, point, area, AND/OR/EXOR, bar graph etc. •	Analogue touch panel: variable grid, buttons and switches can be set as required The integrated software takes care of managing each of the buttons as well as labelling tasks.